SONIK XTRACTOR CARP ROD SLEEVES 9"/10"
The SK-TEK XTRACTOR® Rod Sleeves are truly versatile. Each is fully padded and generously sized to accept big pit reels and 50mm guides if required. The unique connector points at each end allow multiple sleeves to be joined together (both up and down) to easily create a double rod sleeve or even a custom rod holdall system of your choice. 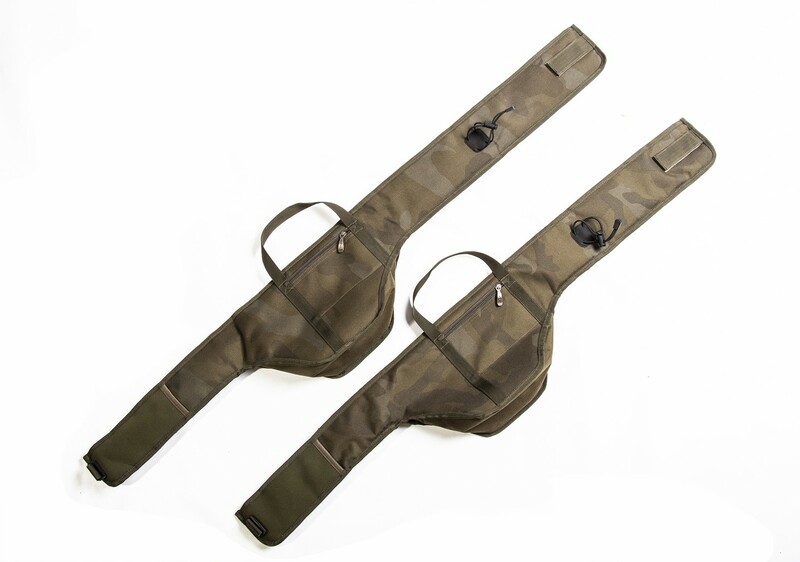 The side utility pocket and strap are perfect for adding items like a landing net and the opposite side has a zipped lead pocket and webbing straps for 2 banksticks.